There’s a reason why the rich and powerful throughout history have always had feline companions. And there’s an explanation for all the time people spend these days watching wacky cat videos online. It’s just not what you think. Humans may be obsessed with these adorable, camera-ready four-legged creatures, but there’s more to the symbiotic relationship than meets the eye. Ready for it? 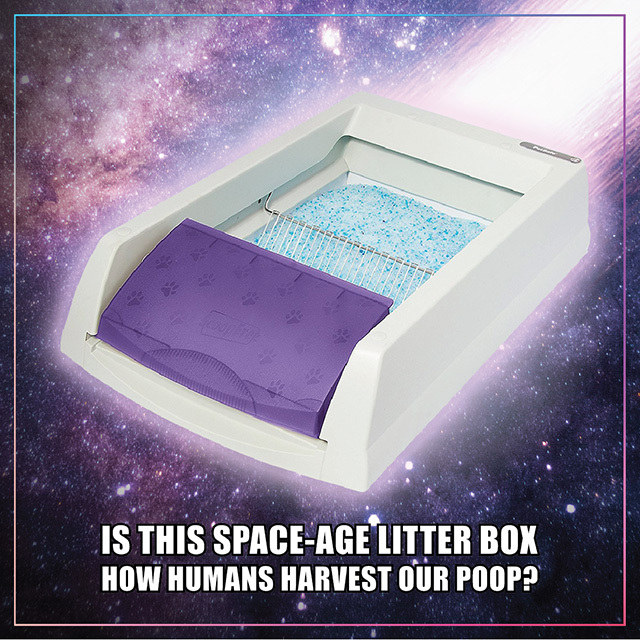 There’s a mint to be made off cat crap. 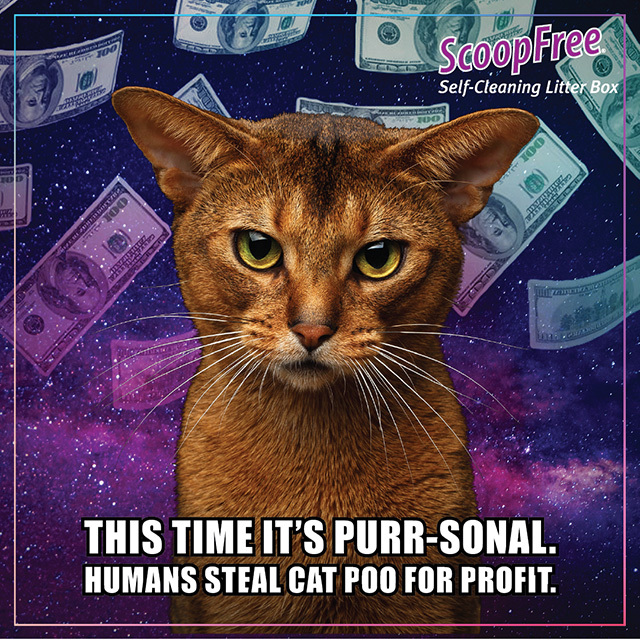 The furry catspiracy theorists who narrate the digital ad include Cindy Clawford, a British short hair, and a tabby named Roswell. You know where this is going, right? Aliens are most likely involved in the global cover-up, which reaches from Area 51 to the moon and back. People have been making “big business out of stockpiling our business,” says Roswell. So it’s not love and devotion but dollars and cents that drives the world’s pet parents. 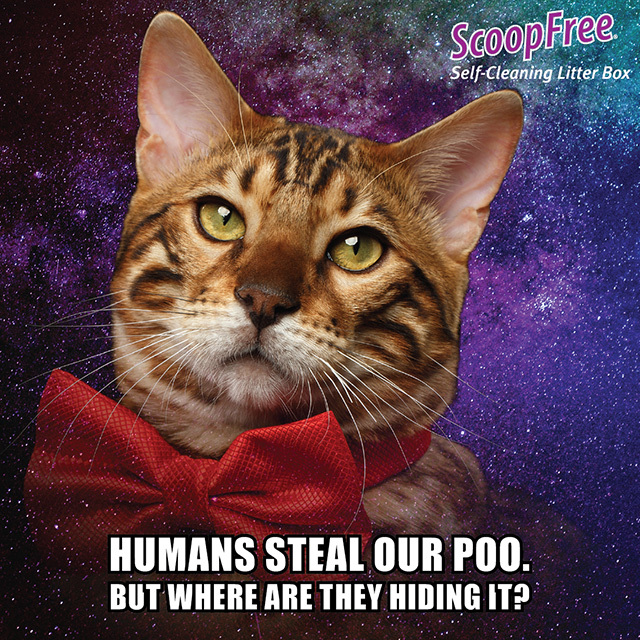 Or maybe they just want a crap-free litter box. Or maybe they’re part of the Illuminati? 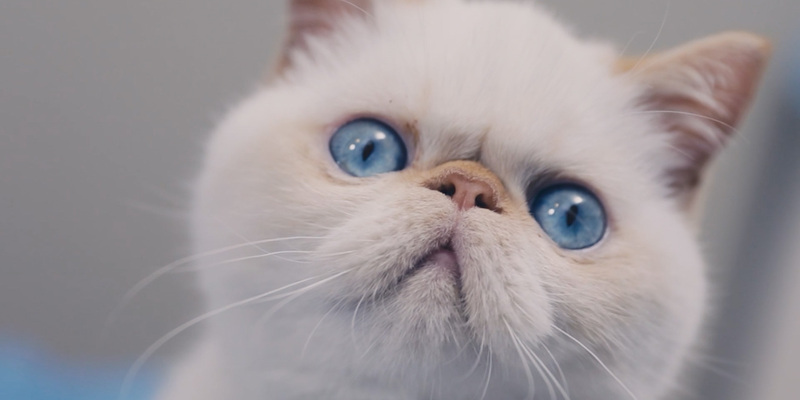 “Catspiracy 2” is the sequel to a cheeky commercial that debuted in 2016. 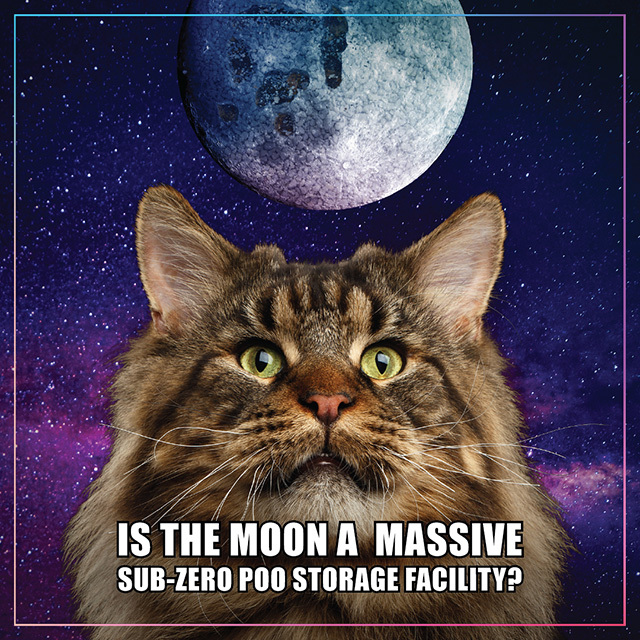 After it went viral with some 3 million YouTube views, “people were actually asking in the comments to see the sequel,” said agency chief creative officer David Littlejohn. 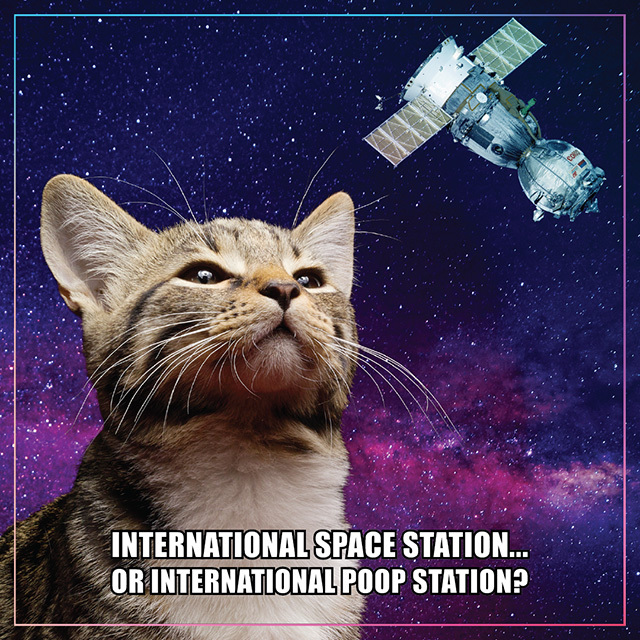 Along with the video, Humanaut has created Catspiracy memes for social media, spoofing real conspiracy theory websites with intentionally low-rent early-internet designs.